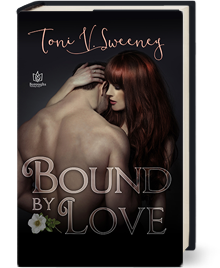 Dylan isn’t expecting romance when his family's construction company is contracted to renovate the old Mercier House, but his attraction to Scarlett Mercier is undeniable, and they share dark secrets that threaten to keep them apart. Dylan Roth is back home, and not by his choosing. After a nasty divorce, he wants to find his footing and his place in the world. He joins his dad and brother in the family construction business and is assigned to the renovation of the old Mercier house, which is being filmed for the TV show Dream Homes, Unlimited. The last thing Dylan wants is to fall for Scarlett "Letty" Mercier, but an undeniable attraction is making it hard for him to say no to the redheaded beauty. When he learns the Roths' and the Merciers' pasts are entwined, he starts digging, and family history can no longer stay buried. Dylan and Letty are bound by a haunting secret that threatens to tear them apart unless they can break the ties of the past.